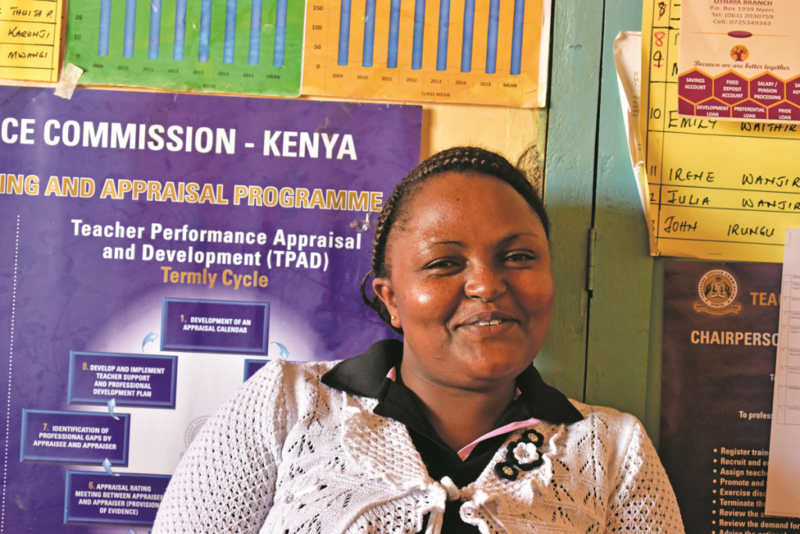 Eunice Wangui has been trained as a Guidance and Counselling teacher for the primary school that she teaches at in Kenya. She is linked with our partner there, the Anglican Church of Kenya. She told a story about how she was teaching a Standard 5 (Year 5) class and noticed that a girl of around 10 years old was having issues and wetting herself. She asked what the problem was but didn’t really receive much of an answer. After she had received the training, she had the same girl in her Standard 6 class and the issue had a not resolved itself, so Eunice once again asked, but was skilled enough to build trust and probe deeper. The full story finally emerged that the girl was sexually violated at a pre-school age by her uncle. The girl’s mother had already reported the case to the Asst. Chief, but he has asked for a bribe of KSH 1,000 to investigate, which the family could not afford, so no action was taken, and they were informed that it was a family matter. The uncle was left alone, and continued to live in the same compound, and his brother (the girl’s father) apparently didn’t see it has a particularly serious incident. After finding out, Eunice took the girl to hospital to see if there was any physical ‘evidence’, but the incident had happened too long in the past. The girl was given counselling and some medication. The girl is now able to control her bladder and to go through the day without wetting herself. Obviously, while she was wetting herself, she was isolated and nobody wanted to socialise with her. Now she is accepted. Whilst there was no action taken against the uncle, the training and ensuing action by Eunice has highlighted that there are now people ‘watching’ who know the law and what action to take, and when to take it. This story is not just about the community being transformed, it is also about teachers like Eunice being transformed. They are not just teaching the curriculum, but are beginning to be concerned about the welfare of the students and their families.